Their team of expert wellbeing, disability and mental health advisers provide a safe, confidential and non-judgemental space, in which you can discuss any issues that may be affecting your ability to study. You can find contact details and services UCL offers on their website. These comprise therapeutic support and counselling, where you can register with student psychological services, wellbeing and mental health, crisis support and many more. They also offer a variety of free self-help resources. UCL and Positive have worked together to offer an app to support student wellbeing, helping look after your mental health and set oneself on the path to success. The new app programme is called Positive PIE (Psychologically Informed Environments), and is designed to equip you with tools and techniques that can support you in every aspect of your life, both while you're at university and in the future. The UCLU website contains information about student life and campaigns at UCL, their student sabbatical officers and general and specialised events. There is also a very useful guide for UCL staff to support student's mental health and well-being. 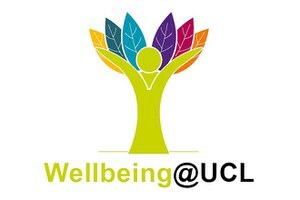 Wellbeing@UCL is the five year wellbeing strategy for the whole UCL community (staff and students). The Head of Wellbeing is Karen Smith. The Wellbeing Champions for the department are Anson Mackay and Anne-Lise Jourdin. For students, Anson has a dedicated Advice Hour on Tuesday 12-1pm for all Wellbeing queries. His office in in the Pearson Building, Room 208. Key Departmental activities that have a focus on well-being include the UCLgeoggers Running Club. Please contact Anson if you have other ideas which could contribute to Wellbeing in the department.